Perfect location for your stay 5 mins walk to Reach and around by the local area . 1 Sofa bed comfort for max 5 people stay. The entire unit are new and provide Hotel standard amenities. Kitchen / Bathroom / Washing machine with dryer function Pocket wifi and Wifi in the room. Entire unit is non smoking room , but at my balcony I have display the ashtray , when you need . All the restaurant , Convenience store are near by. 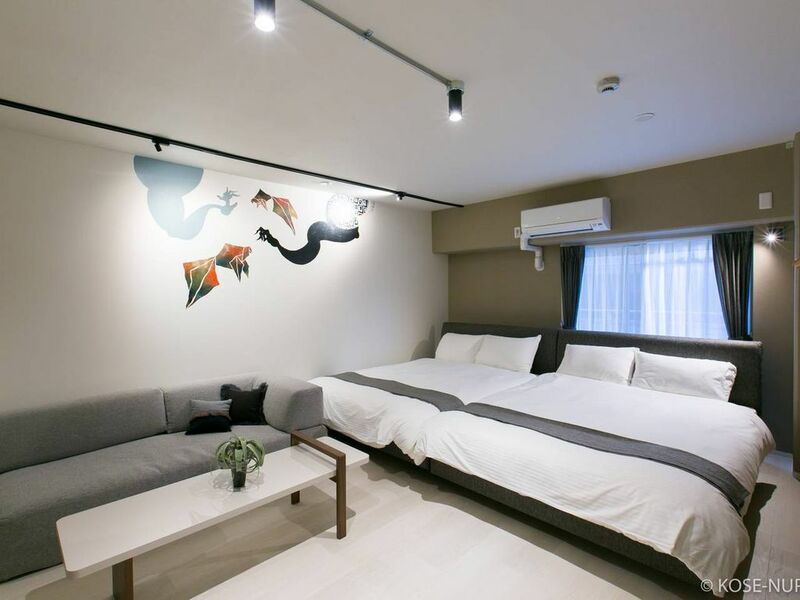 The futon(on the sofa bed) are self-service, all the settings are in the storage/ shelf, with English label on it, clean bed sheets, pillow cover, futon mat, these are real Japanese style, it's super simple you can set up in 2 mins. In my apartment, offer with 1 heater, plus each room offer with air-conditioning which provide heating and cooling air depending on your need. Under Japanese law, all hosts are required to keep a record of all guests. This includes their name, home address, occupation and dates of stay. If your guest does not have a home address in Japan, you will need to collect a copy of their passport stating their nationality and passport number. So please send me your passport copy after your reservation is confirmed . If you have any questions about this issue, please feel free to contact airbnb costumer service. Está comunicado excelente tranvía en la puerta, literalmente. Camas y almohadas super confortables. Tamaño del apartamento muy por encima de la media en Japón. P. D:el detalle del pocket wiffi de lujo!